Established in 1986, Orca Institute offers Canada’s longest running Hypnotherapy Certification programs. We are also British Columbia's only PTIB and EQA Designated Hypnotherapy school. With a strong focus on Ericksonian Hypnosis, our school offers online training courses on the cutting-edge of Counselling Hypnotherapy and hypnosis training certification. Explore our website to learn more about launching your new career as a Certified Counselling Hypnotherapist! We have the best cost per hr. ratio. Orca: $6.78 per hr. $21.00 - $46.00 per Hr. Our Diploma course includes more Counselling Training (200 hrs.) Most have none, some have 25hrs. or less. Orca is certified by Edu-Canada to accept International Students. We are the only CDN Hypnotherapy school to have a separate and comprehensive Ethics course in its curriculum. This course will explore the hypnosis skills needed to navigate the unconscious past life memories of our clients. Our Hypnotherapy Certification online Diploma course is 640 hours over 7.5 months (about 20 hours per week). Classes are ongoing and may be started at any time. Included are live online classes through Zoom. This comprehensive Hypnotherapy training program prepares the student to be professionally proficient in hypnotherapy and counselling. Graduate students receive a Counselling Hypnotherapist Diploma. Payment plans are available for all students. This online 285 hour course takes place over 7.5 months (about 10 hours per week). It is well-suited for those who have time constraints. It prepares the student to be proficient in Basic Counselling and hypnosis Skills. Graduate students receive a Resident Hypnotherapist Certificate. Included are live online classes through Zoom. Payment plans are available for all students. This online course includes 2 weekend classes and 90 hours of supervision over 6 months. The 108 hour course is comprehensive in its scope and explores the ethical dilemmas experienced by Counsellors in all aspect of their practice with individuals, groups, families and couples. The course broadens a counsellors awareness of ethics as well as guides one through recognition of, and reflection to the resolution of ethical dilemmas. 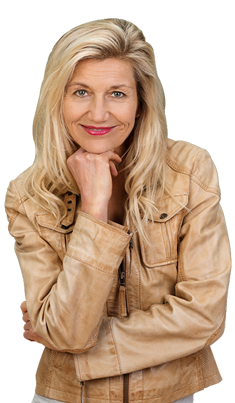 Sheldon Bilsker, RCC, HT is a practising Counselling Hypnotherapist, Hypnotherapy Teacher and Registered Clinical Counsellor with 36 years experience in private practice, specializing in emotional issues, personal growth, self-esteem and phobias. He is President and Founder of the International Association of Counseling Hypnotherapists (IACH) and past President of the Canadian Hypnotherapy Association. He is one of the original members of the BC Association of Clinical Counsellors (memb. #0017) and was a member of their Legislative Review Committee. He is very active in promoting progressive Counselling and Hypnotherapy Legislation in BC and represents IACH on the FACT BC Board. Sheldon is also a qualified supervisor for ACCT and BCACC. Please contact him at 604-808-3703 or e-mail for a free consultation. Or, visit his website to learn more. Interested in learning and becoming certified in hypnosis and hypnotherapy? Founded in 1986, Orca Institute has been training Hypnotherapy students longer than any other hypnotherapy school in Canada. We take great pride in the personal support provided to our students as we feel that it is essential for our students never to feel like they are doing our training alone. Diane and Sheldon combine 50 yrs. of experience in this field. Their vast hypnotherapy experience is shared with their students to offer them the best hypnotherapy and hypnosis certification training available. We invite you to explore our website. Call us and learn more about the exciting and rewarding field of Counselling Hypnotherapy. Please feel free to talk or Zoom directly with the Director, Sheldon Bilsker, RCC at 604-808-3703. We love to talk to prospective students. Recently the "International Association of Counselling Hypnotherapists" became a member of FACT BC. Our School is approved by IACH. "This could have a profound and positive effect on all counsellors in BC including Counselling Hypnotherapists who have attained the standards set out in our training." FACT BC is a society of professional associations that represent counsellors and therapists practising throughout British Columbia. FACT BC is the main lobbying group to propose that a "College of Counsellors" be set up in BC creating a protected Title for counsellors. Orca Institute Director, Sheldon Bilsker, being on the legislative committee of the BCACC, attended the first meeting of the Health Professions Council in 1997 which started the process towards creating new legislation in the field of Counselling. Please read our blog for further details. In my opinion the course material is excellent, well-organized, comprehensive, and covers the field very well. I was pleased to note that Dr. Milton Erickson is given so much prominent attention, and that his system of using hypnosis has been incorporated. I knew Dr. Milton Erickson personally, having met him in 1952 at the home of Mr. Aldous Huxley in Los Angeles. It is my professional opinion that this course is well-organized and very comprehensive. It is without question that mastery of this course material would enable a person to perform high-quality work in the field of hypnotherapy. This comprehensive course has enhanced my work with people in distress and pain. I have no hesitation in recommending The Orca Institute. E.M. Smith, R.S.W., R.H. Social Work Department, Cancer Control Agency of BC. In the medical field few of my colleagues receive such well-organized and comprehensive training in the field of hypnotherapy medical doctors and psychologists would be well served by the certification offered by Orca. Thanks for the wonderful classes! And thanks for the technology which allowed me to be able to receive great lessons without the need of having to work towards a Canadian visa. I look forward to future new courses!